Big River Magazine wrote an article about nighthawks and interviewed me about my research. University of South Dakota issued a press release about my work. 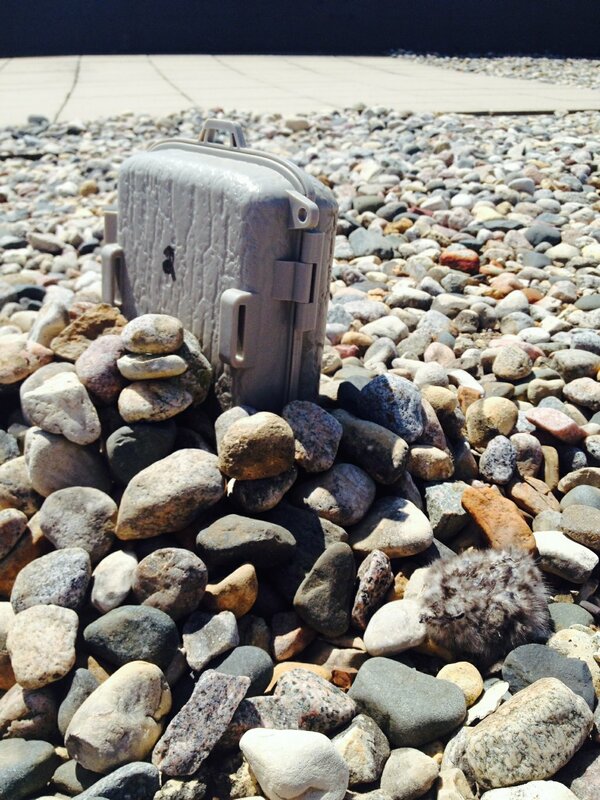 The University of South Dakota Volante printed an article about the nighthawk project. I participated in a Bald Eagle nest watch near a construction site in Yankton, SD which was featured in the Yankton Daily Press & Dakotan. 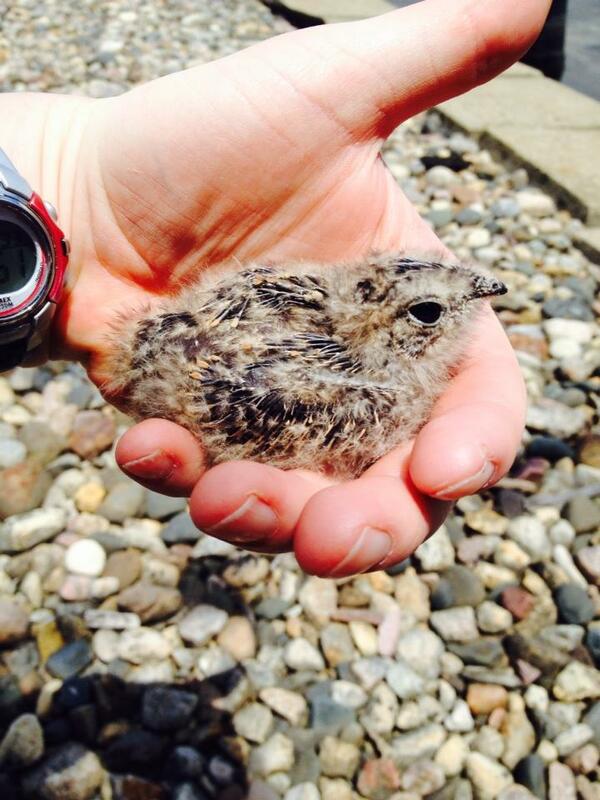 I study habitat, nest success and heat stress of the Common Nighthawk (Chordeiles minor). 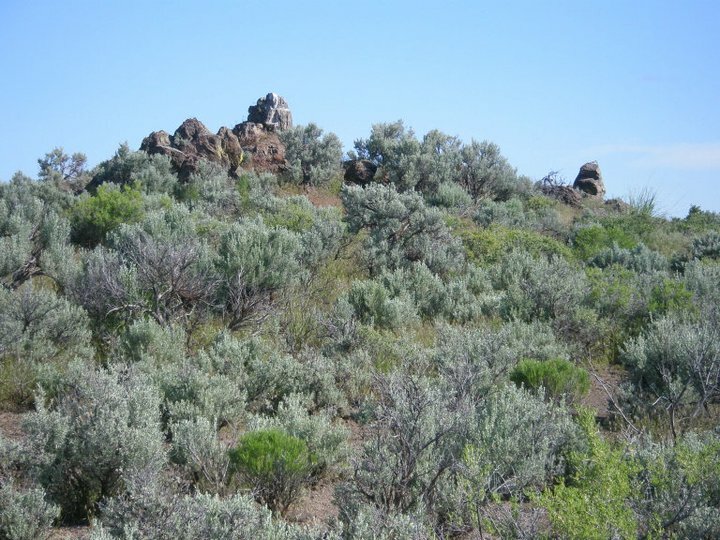 I am interested in the impacts of climate change and the conversion of grasslands in eastern South Dakota. Starting in the summer of 2013, I have been conducting point counts around sunset to determine their habitat associations. 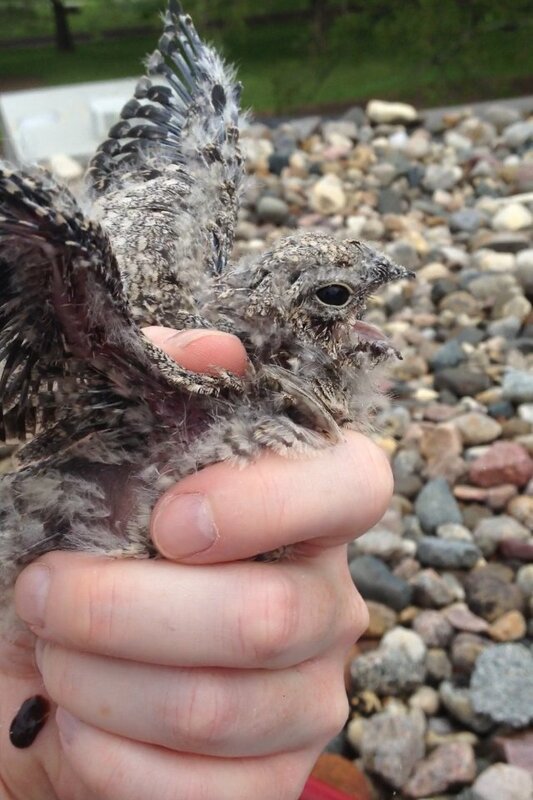 Then in 2014, I began finding nighthawk nests in urban areas to determine nest success, chick morphology and stress hormone levels in different urban habitats. I also wanted to determine the association of between activity and weather (i.e. cloud cover, temperature) and temporal (i.e. moon phase, time to sunset) effects. The perils of using a game camera to document movement of a chick. They might use the camera for shade! ABA’s 2013 Bird of the Year was encouraging. Check out this fun video! My advisor, Dr. David L Swanson. Project Nighthawk volunteers installing gravel patches for nighthawks. Dr. Mark Brigham’s lab at University of Regina. 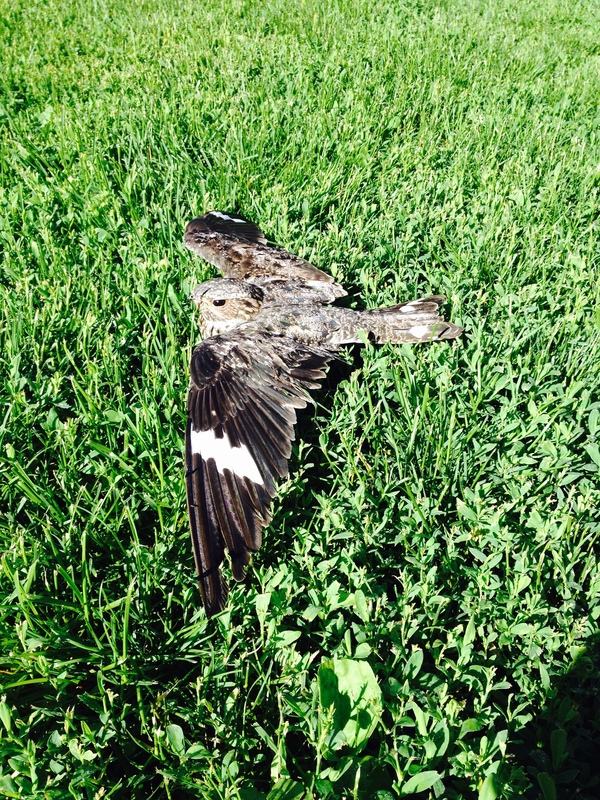 Laura Erickson’s blog post on rehabbing nighthawks details the digestive system and personality of nighthawks. 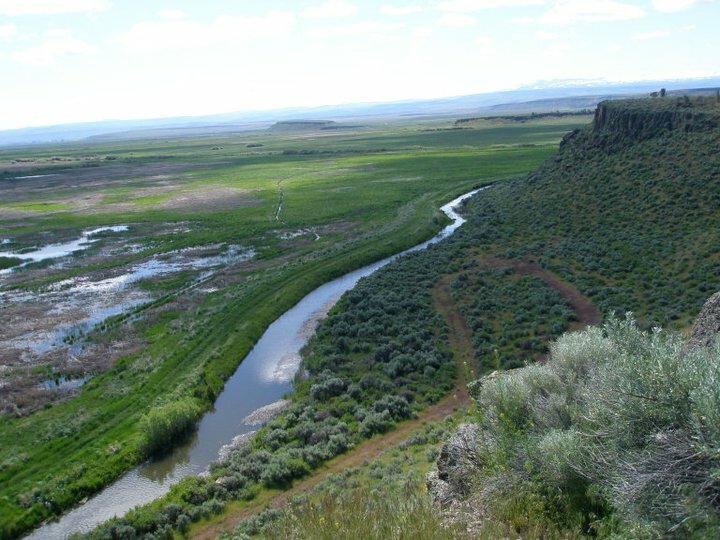 In June 2011, I took a break from the swallows and visited Malheur National Wildlife Refuge, a wetland in the vast rangeland of south central Oregon. 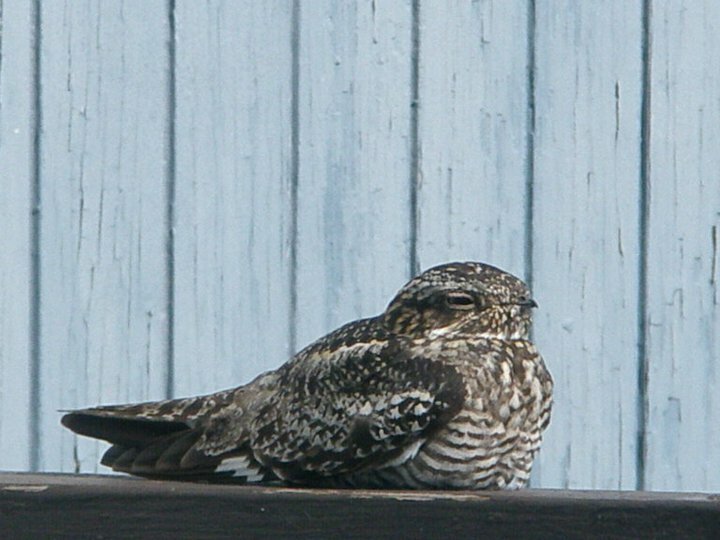 During the day nighthawks would roost on the railings of our trailer. My work with swallows had my interest in the aerial insectivore decline piqued. From there, I deduced that returning to the midwest and working in grasslands with nighthawks were the way to go for my PhD. At Oregon State University, I worked on Jim Rivers’ Tachycineta swallow study. I assisted in his behavioral ecology and stress hormones research. I also led a diet sample survey. Rivers, J. W., G. N. Newberry, C. J. Schwarz, D. R. Ardia. 2016. 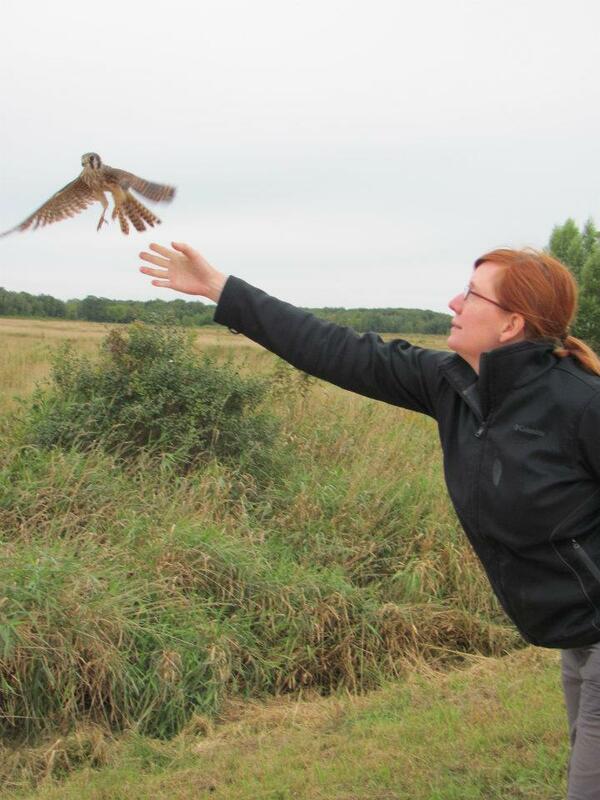 Success despite the stress: violet-green swallows increase glucocorticoids and maintain reproductive output despite experimental increases in flight costs. DOI: 10.1111/1365-2435.12719. I received my first bachelor’s degree at the University of Wisconsin-Madison where I worked at the Harlow Primate Lab. My majors were Anthropology and Journalism. Since then, I’ve had an interest in science writing.